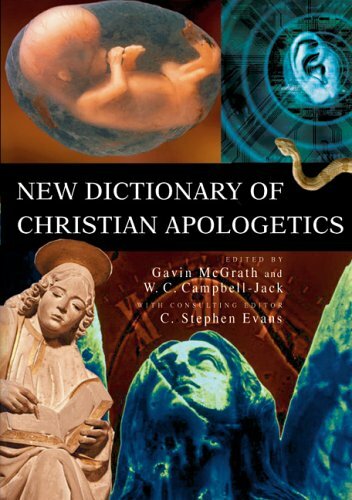 The New Dictionary of Christian Apologetics is a must-have resource for professors and students, pastors and laypersons--in short, for any Christian who wishes to understand or develop a rational explanation of the Christian faith in the context of today's complex and ever-changing world. Packed with hundreds of articles that cover the key topics, historic figures and contemporary global issues relating to the study and practice of Christian apologetics, this handy one-volume resource will make an invaluable addition to any Christian library. Editors Gavin McGrath and W. C. Campbell-Jack, with consulting editor C. Stephen Evans, have divided the dictionary into two parts: Part one offers a series of introductory essays that set the framework for the dictionary. These essays examine the practice and importance of Christian apologetics in light of theological, historical and cultural concerns. Part two builds on these essays to present numerous alphabetized articles on individuals, ideas, movements and disciplines that are vital to a rational explanation of the Christian faith. Both essays and articles are written by leading Christian philosophers and theologians. Together, they form an indispensable resource for Christians living in today's pluralistic age. If you have any questions about this product by IVP Academic, contact us by completing and submitting the form below. If you are looking for a specif part number, please include it with your message.